We are posting our training material for Elders, Deacons, Informal Leadership, and really anyone interested in thinking further about Jesus' ministry to us and Jesus' continued ministry through us as his church (both collectively and individually). Depending on your role in our church, we might require some of this for your training, we would always strongly encourage anyone taking on leadership and service to spend some time with these things. As well, we want to make these things accessible for anyone connected to us. Read or Download the latest edition of the Book of Church Order. Our Constitution as a denomination and church are living documents we consider to be faithful summaries of biblical doctrine, practice, and polity (forms church governance). 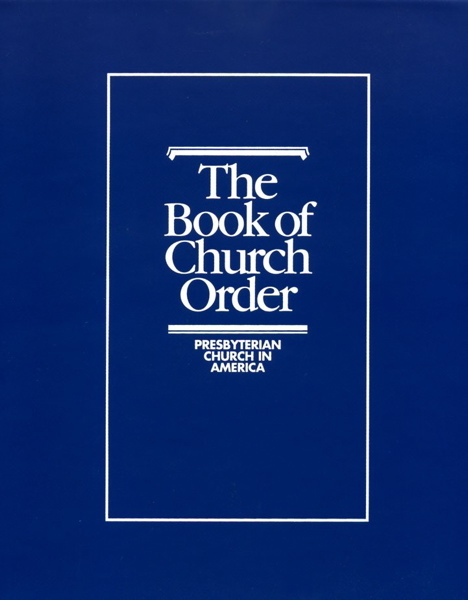 As stated in the Book of Church Order: "The Constitution of the Presbyterian Church in America, which is subject to and subordinate to the Scriptures of the Old and New Testaments, the inerrant Word Of God, consists of its doctrinal standards set forth in the Westminster Confession of Faith, together with the Larger and Shorter Catechisms, and the Book of Church Order, comprising the Form of Government, the Rules of Discipline and the Directory for Worship; all as adopted by the Church." Krista Tippett's On Being fantastic interview, The Need for Creeds, on Creedal & Confessional Christianity with former professor of Christian history at Yale, Jaroslav Pelikan. Audio & Transcript Available - Excellent listen. Sinclair Ferguson's The Whole Christ: Legalism, Antinomianism, and Gospel Assurance—Why the Marrow Controversy Still Matters. Don't be thrown by the subtitle; The Whole Christ is extremely relevant, devotional, and practical, as it examines the free offer of the gospel, treasure of redemptive benefits personally found in Christ, and the unqualified/ unhindered proclamation of hope in him. Right now the audiobook is available for free if you join this email list (no payment info required). Available in paperback from Powells & on Kindle through Amazon (linked above) as well, but right now, hey - it's available as a free audiobook! Charles Hodge's What is Meant by Adopting the Westminster Confession. Very helpful; 8 page PDF required skimming at least for our nominees. Want to know more fully how to thing about our current leadership and what it means to adopt our doctrinal standards? Is it every word and comma, is it general orthodoxy, or is it something else and something in between?